In a new study, astronomers have found that Milky Way galaxy, the galaxy that contains Earth’s Solar System, steals nearby spheroidal dwarf galaxies’ star-forming gases. According to the astronomers, the dwarf galaxies that orbit near the Milky Way’s gravitational sphere are devoid of hydrogen gas, which helps in forming stars. Therefore, the closest neighbour galaxies of the Milky Way will not be able to form new stars. “Astronomers speculated if, after billions of years of interaction, the close by dwarf spheroidal galaxies have all the same star-forming ‘stuff’ that we find in more distant dwarf galaxies,” Kristine Spekkens, lead author of the new study stated. The Milky Way galaxy is believed to be one of the biggest group of galaxies that are held together by gravity. 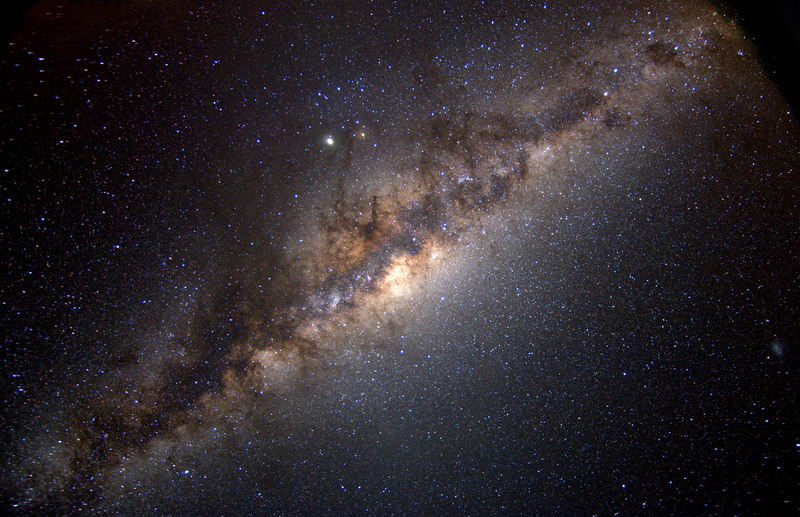 The Milky Way is the bigger galaxy and others are dwarf galaxies. After the formation of galaxies, the remnants’ group together and form the spheroidal dwarf galaxies. Ahead of the monarchies of the dwarf galaxies are misshaped dwarf asymmetrical galaxies that are not the part of the group. It’s quite obvious that the far away asymmetrical dwarf galaxies have lots of neutral hydrogen gas, though there is no clear indication about the nearby dwarf galaxies yet. The astronomers explored that spheroidal dwarf galaxies were devoid of any signs of hydrogen gas with the help of large telescopes around the globe including the National Science Foundation’s Green Bank Telescope. At first, it was believed that the close by black hole was actually sucking the hydrogen gas from the spheroidal galaxies. Though, afterwards it was observed that the Milky Way galaxy is bash reverse as compared to the dwarf galaxies. The Milky Way galaxy is situated in the center of a dense halo of Hydrogen Plasma that expands for thousand of light years.